In control theory, Quantitative Feedback Theory (QFT) developed by Issac Horowitz, has gained a lot of popularity. Many researchers have proposed a method to generate the bounds that from the literature it is observed that generation of bound takes a lot of time for online design of the controller. It is necessary to speed up the computation of bound generation. This paper exhibits the parallel computing power of the GPU (Graphics Processing Unit) in the area of QFT. In this paper, GPU based approach is proposed to speed up the computation of stability bound. By using MATLAB parallel computing toolboxes, GPU computational power can be easily accessed with the minimum knowledge of GPU architecture, MATLAB code can be executed on the GPU. In order to achieve faster execution of QFT bound generation, NVIDIA GPU with the support of MATLAB parallel computing toolbox is used in this work. Performance comparison of the algorithm for sequential implementation on CPU and parallel implementation on GPU is carried out. This work analyzes the relative performance of GPU vs CPU. In this paper, GPU based approach proposed for significant speedup in the computation of bound using QFT and it is observed that GPU provides speedup two to three times as compared to the CPU. Chait, Yossi and Yaniv, Oded, ``Multi-input/single-output computer-aided control design using the quantitative feedback theory,' International Journal of Robust and Non-linear Control,vol. 3,pp. 47-54,1993. R. M. Osgood, Jr., Ed. Berlin, Germany: Springer-Verlag, 1998. Houpis, Constantine H., Steven J. Rasmussen, and Mario GarciaSanz. Quantitative feedback theory: fundamentals and applications. CRC press, 2005. Patil, Mukesh D., and Kausar R. Kothawale``Design of robust PID controller for flexible transmission system using quantitative feedback theory (QFT),' Advances in Computing, Communication and Control (2011): 479-485. Brown, Matthew, and I. R. Petersen,``Exact computation of the Horowitz bound for interval plants,'Decision and Control, 1991., Proceedings of the 30th IEEE Conference on. IEEE, 1991. Fialho IJ, Pande V, Nataraj PSV, ``Design of feedback system using kharitonov’s segment in Quantitative Feedback Theory,' Proceeding of thr 1st QFT syposium,Dayton,OH,1992;457-470. Zhao, Yongdong, and Suhada Jayasuriya ``On the generation of QFT bounds for general interval plants,' Transactions-American Society Of Mechanical Engineers Journal Of Dynamic Systems Measurement And Control 116 (1994): 618-618. East, D. J, ``A new approach to optimum loop synthesis,' International Journal of Control 34.4 (1981): 731-748. Longdon, L., and D. J. East, ``A simple geometrical technique for determining loop frequency response bounds which achieve prescribed sensitivity specifications,' International Journal of Control 30.1 (1979): 153-158. Yang, Shih‐Feng, ``Generation of QFT bounds for robust tracking specifications for plants with affinely dependent uncertainties,'International Journal of Robust and Nonlinear Control 21.3 (2011): 237-247. Chait, Yossi, Craig Borghesani, and Yuan Zheng. "Single-loop QFT design for robust performance in the presence of nonparametric uncertainties." Journal of dynamic systems, measurement, and control 117.3 (1995): 420-425. Rodrigues, J. M., Y. Chait, and C. V. Hollot. "An efficient algorithm for computing QFT bounds." transactions-american society of mechanical engineers journal of dynamic systems measurement and control 119 (1997): 548-552. Yang, Shih-Feng. "Efficient algorithm for computing QFT bounds." International Journal of Control 83.4 (2010): 716-723. Nataraj, P. S. V., and Gautam Sardar. "Computation of QFT bounds for robust sensitivity and gain-phase margin specifications." transactions-american society of mechanical engineers journal of dynamic systems measurement and control 122.3 (2000): 528-534. Nataraj, Palur SV. "Computation of QFT bounds for robust tracking specifications." Automatica 38.2 (2002): 327-334. Nataraj, P. S. V., and Gautam Sardar. "Template generation for continuous transfer functions using interval analysis." Automatica 36.1 (2000): 111-119. Gutman, Per‐Olof, Mattias Nordin, and Bnayahu Cohen. "Recursive grid methods to compute value sets and Horowitz–Sidi bounds." International Journal of Robust and Nonlinear Control 17.2‐3 (2007): 155-171. Yang, Shih‐Feng. "Generation of QFT bounds for robust tracking specifications for plants with affinely dependent uncertainties." International Journal of Robust and Nonlinear Control 21.3 (2011): 237-247. Bailey, F. N., and C-H. Hui. "A fast algorithm for computing parametric rational functions." IEEE transactions on automatic control 34.11 (1989): 1209-1212. Ballance, D. J., and G. Hughes, ``A survey of template generation methods for Quantitative Feedback Theory,' (1996): 172-174. Fu, Minyue. "Computing the frequency response of linear systems with parametric perturbation." Systems & Control Letters 15.1 (1990): 45-52. BARTLETT, ANDREW C. "Computation of the frequency response of systems with uncertain parameters: a simplification." International Journal of Control 57.6 (1993): 1293-1309. 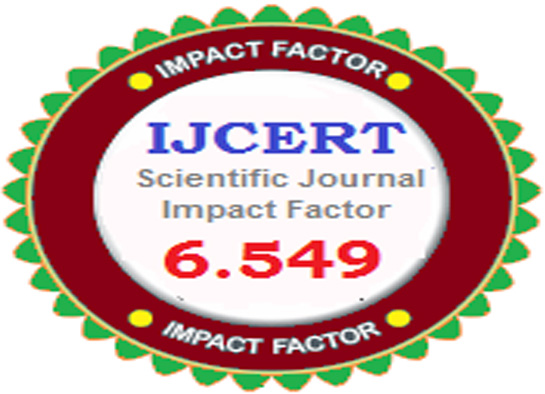 Patil, Mukesh D., P. S. V. Nataraj, and Vishwesh A. Vyawahare,'Automated design of fractional PI QFT controller using interval constraint satisfaction technique (ICST),' Nonlinear Dynamics69.3 (2012): 1405-1422. Purohit, Harsh, and P. S. V. Nataraj, ``Optimized and automated synthesis of robust PID controller with quantitative feedback theory,' ." Industrial Instrumentation and Control (ICIC), 2015 International Conference on. IEEE, 2015. Baida Zhang, Shuai Xu, Feng Zhang, Yuan Bi and Linqi Huang,``Accelerating MatLab Code using GPU: A Review of Tools and Strategies,'in Magnetism, vol. III, G. T. Rado and H. Suhl, Eds. New York: Academic, 1963, pp. 271–350. Chandrima Roy, Kalyankumar Datta and Devmalya Banerjee, ``Quantitative Feedback Theory based Controller Design of an Unstable System,'IJCA Proceedings on International Conference on Communication, Circuits and Systems 2012 iC3S(5):11-15, June 2013. Amin, Shraddha. "Review On Quantitative feedback Theory (QFT) To Maintain Power System Stabilty." (2014). Altman, Yair M ``Accelerating MATLAB Performance: 1001 tips to speed up MAT- LAB programs,' 2014.